==>Why build a weather station when you can easily buy one? 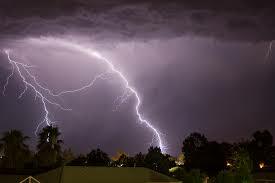 Ever since I was a kid, I was always fascinated with the weather. When my mom and dad bought a multi-band shortwave radio, I was able to listen to the local Skywarn nets on 2 meters. That's what got me interested in Ham Radio. But I still had the burning interest in the weather. 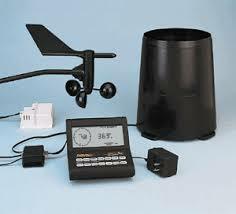 When my daughter was in elementary school, we bought a Davis Weather Monitor II station. It was great. It come with a Rain Bucket. WeatherVane/Anemometer, Temperature/Humidity Sensor, and nice desk monitor display. We used this for many years. Sadly, this system was not designed to be easily hooked up to the internet. And this year (2018), I had to put a new roof on my house which required me to take down the tripod that had the anemometer/windvane and rain bucket on it. I didn't want to throw out this equipment. So as I surfed the web for ways to resuse the sensors, I decided it was time to build a new automated station using the many single board computers such as the Arduino and Raspberry Pi and interface the sensors to them. So many others have done this. Why shouldn't I? My goal is to create a web-based automated weather station that I will run from my website. Here, I will present my develpment story. I will discuss my prototyping process with using the Arduino, then the process to use the RaspBerry Pi as the main computer and server for the weather station. My plan is to deploy the station in the spring of 2018. So if you have the same interests, follow along with my development adventure.